These were my boys on Saturday afternoon. Literally GLUED to the television. My sister, Anna - who went to UNC Chapel Hill and has Tarheel blood running deep through her veins is married to my brother-in-law, Zak - a NC State grad. My boys are absolutely crazy about their Aunt Anna and Uncle Zak. And, even though the NC State/UNC rivalry isn't hot over at my sister's house (mostly because Zak isn't a huge basketball fan), my boys would LOVE for there to be a knock-down, drag out rivalry over there. So, on Saturday, my boys were FULL-ON Uncle Zak vs. Aunt Anna. UNC was playing NC State in the ACC tournament and the boys couldn't wait to watch the game. Who's gonna win?, I casually asked them about mid-way through the very close game. Oh, really? What makes you think that? Max, without a moment's pause, let 'er rip: "Because boys are better at everything than girls. And, Uncle Zak is way better at stuff than Aunt Anna." I fell over laughing on the sofa. Oh, really? 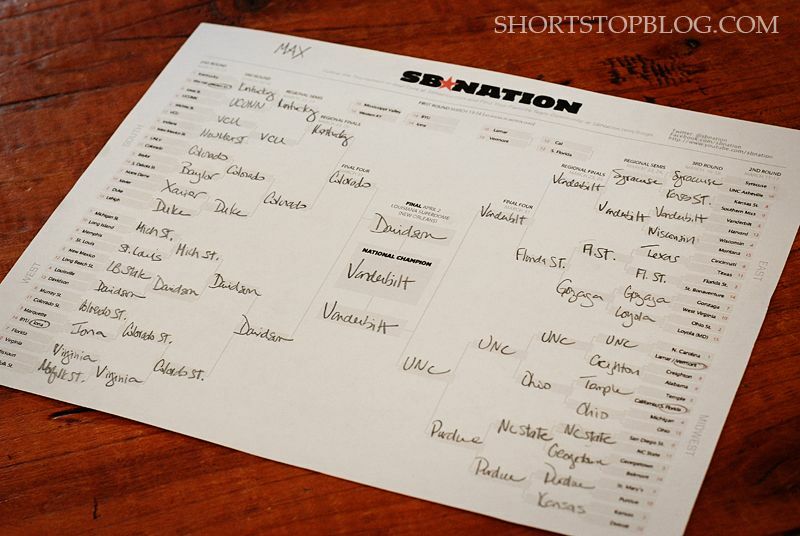 Well, this year, we decided to have our little geniuses fill out brackets for the first time. Because Lord knows - as evidenced above and by the Aunt Anna WIN! on Saturday - their logic and reasoning for picking winners is full proof. So, they've got brackets that are now hangin' on our fridge. I wrote down their choices, but they chose the teams all on their own. No coaching. No nudges. Just pick each game's winner. Which is why Davidson is in the final. 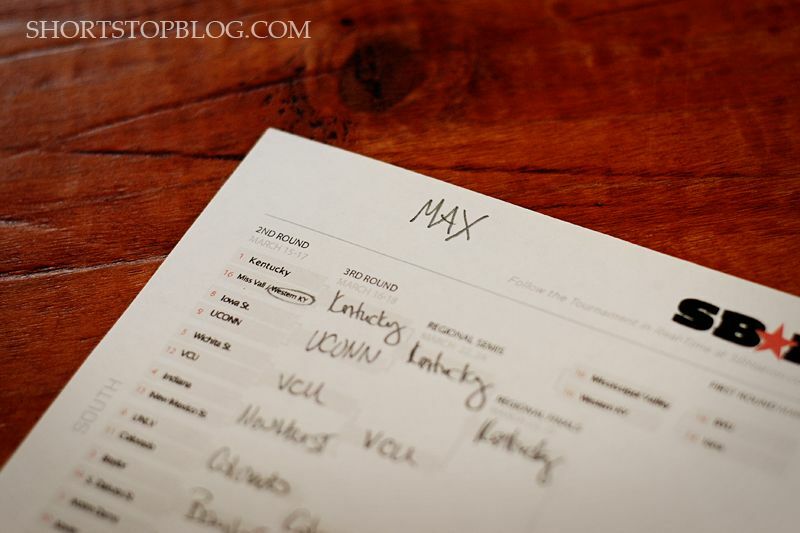 But, I think Max might be onto something with Vanderbilt. I guess we'll see. However, the fact that Jack has chosen Michigan State to win it all is painful for my husband - who is still recovering from the 2010 Michigan State/Maryland buzzer beater that is still too painful for either of us to watch. Whether or not Vanderbilt wins, Michigan State takes it all (Ugh! ), or Davidson makes history and makes it to the final, we are LOVING their enthusiasm. 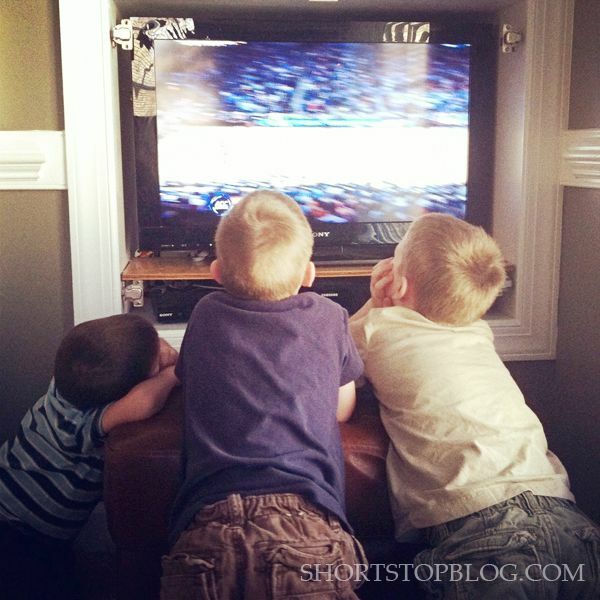 My husband and I love March Madness and sharing it with our little boys is makin' it so much sweeter this year. Girls are WAY better at stuff than boys. I've got some brainwashing to undo around here. 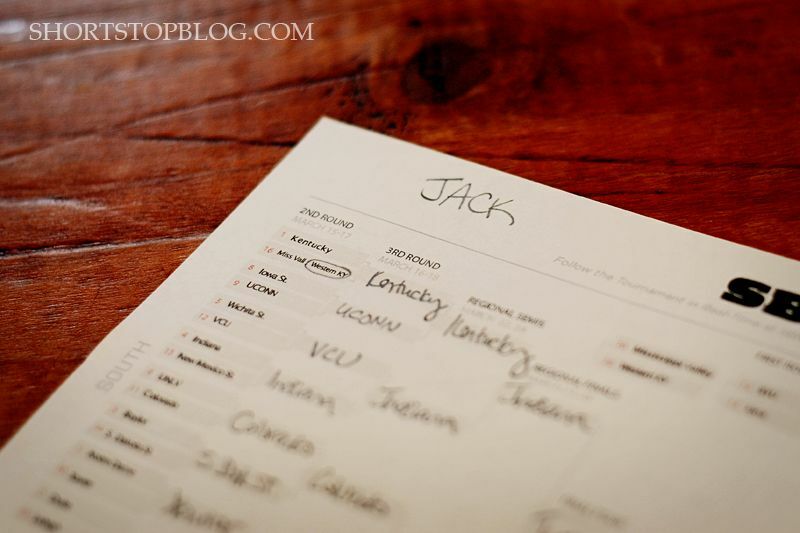 I'm with Jack :) But what a fun season for your family regardless of the outcome!